The Terraformer Dragon is a controversial figure. He searches the galaxies for new planets and claims that if dragons put their powers together, they can alter planets’ structures to support dragon life, thus allowing dragons to take over the universe. 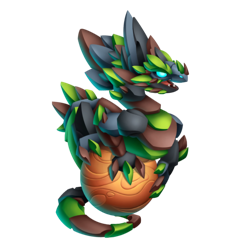 Terraformer is not Currently Breedable. Sorry. These dragons can all critical hit against Terraformer, but won't be critical hit by Terraformer.